With everything HUUB have done since first introducing the Archimedes, they have had one key goal in mind... “To deliver the fastest wetsuit, with the feeling of not wearing a wetsuit". 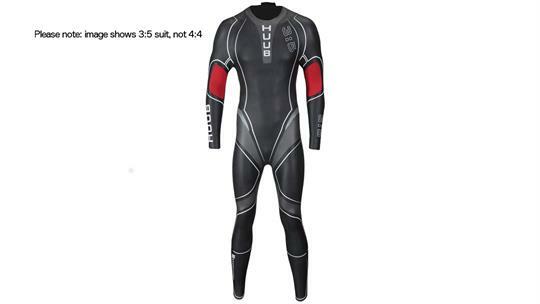 The HUUB Archimedes II was developed in the HUUB 'lab' - that is, the sea, rivers, lakes, and pool - to further refine what was already an exceptional wetsuit. 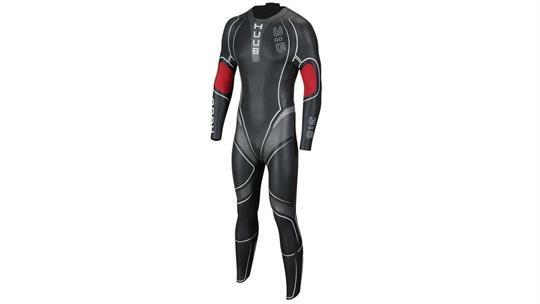 By focusing on stabilisation, swim stroke, muscle release and other factors central to 'real world' swimming, HUUB have created a wetsuit that is as close to the feeling of not wearing a wetsuit as it's possible to get. Through observing how Chloroprene foam moves, stretches and behaves with differing lining materials (especially when we marry it with construction and stitch patterns), we have been able to further enhance the flexibility and reach. The Archimedes // has a 25% reduction in the neoprene thickness of the panels around the side, the back and shoulders - utilising 1mm Chloroprene foam, and the most flexible lining materials available. The under arm gusset has been remodelled with improved ‘mechanical reach’ with detailed analysis of the stitch location. The super flexible material in the lateral panels with thickness reduction allows ‘Non-suit’ feel and reach. The improved design and application of new materials delivers an arm-reach modulus reduction of 18%, in other words, less effort for more stretch. The X-O skeleton is a unique proposition from Huub, researched using ‘active drag’ the only company testing and using the most effective and accurate measurement. Measurement of Active drag (M.A.D) shows what happens when the athlete is swimming, not being towed or pulled - where inaccuracies are rife. 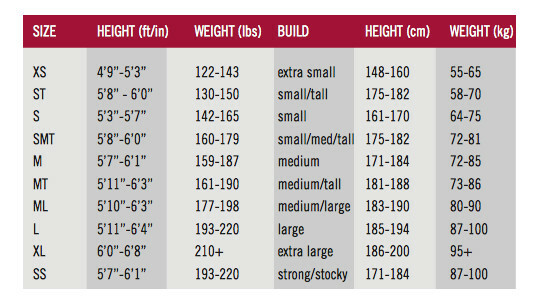 HUUB use a cross section of measurement, but the M.A.D is the most accurate and most reliable. The X-O Skeleton delivers structure and control to reduce snaking, power loss and directional waste by gripping and holding the pelvis and hips. Research by Professor Huub Toussaint has taught them many things, and one of those is the secret to improving stroke efficiency, whilst controlling other parts of the body. They don’t want to give too much away, there are more products to come that have benefitted from this research... let's just say; “the more control, the more efficiency.” The x-o-skeleton has been increased by 80% in the Archimedes 2 to deliver more control. Perfectly distributed buoyancy for the experienced and horizontal swimmer. A great balance of even buoyancy and flexibility facilitating an efficient stroke coupled with a smooth natural kick action. The Calf Release has seen an increase in volume by 25%, giving the calf more coverage of the lower modulus and non-restrictive super thin nylon. 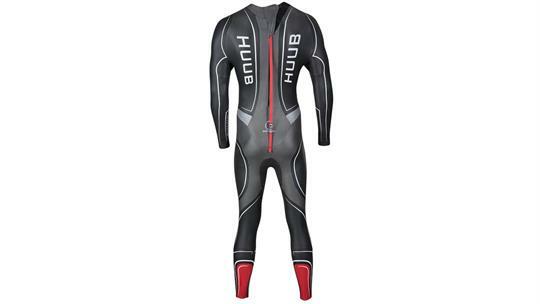 HUUB have reduced the thickness to below 1mm to ensure natural calf movement; this improves kick by lack of restriction and significantly reduces the risk of cramping during swim and transition. The Bicep Release has an improved modulus to further enhance the panel’s ability to create a natural flexed recovery arm and efficient arm flex for the catch. The Bicep release was the brain-child of Swimsmooth’s Paul Newsome and has proved to be a unique feature that only a swim stroke analyst with his obsessive nature could create. 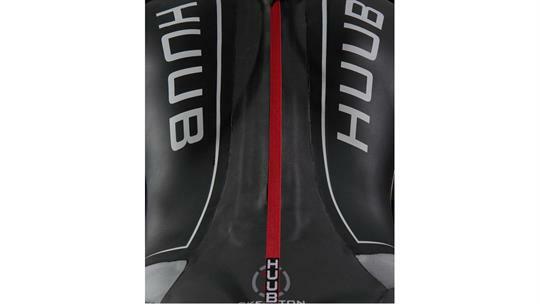 HUUB strived to improve the modulus from the neoprene versus the biceps panel and the results couldn’t be more exciting. We know we have the most comfortable neck in the wetsuit industry. We don’t fold and stitch, we refuse to create a tourniquet of rubber to restrict breathing and flexibility ...we stood alone and we will stand by this simple and effective design.